A divorce is a major life event, and we understand that it can be a difficult process even for couples who are having an amicable split. At Unified Lawyers, we take your emotional and financial needs into account. Our Sydney divorce lawyers have the experience, skill, and compassion you need to get through your family law case. We know that divorce is hard enough, and we don’t want you to be bogged down with exorbitant legal fees and strict billing guidelines. Therefore, our affordable divorce lawyers will help you by providing legal advice and services for everything from reaching a property settlement to completing the divorce process in cost-effective manner. Our divorce lawyers in NSW will help you by providing legal advice and services for everything from reaching a property settlement to completing the divorce process. Simply ask our Sydney divorce lawyers about our flexible billing plans, and we’ll work with you to make it possible for you to have proper legal representation. Are you searching for the best divorce lawyers in Sydney? 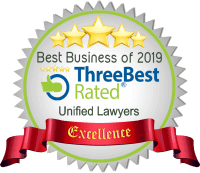 If you are, we are glad you stumbled across our website as we have been rated top 3 best divorce lawyers in Sydney. 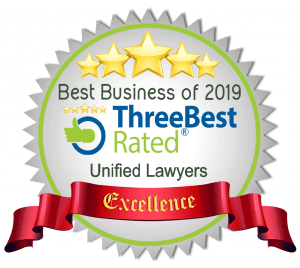 Voted Three Best Rated Divorce Lawyers in Sydney. Before you can submit your application for divorce to the Federal Circuit Court, you must meet the divorce law requirements set in place by the Family Law Act 1975. Our divorce lawyers in Sydney will help you every step of the way with our cost-effective legal services. Divorce law states that you must be separated for at least 12 months before filing your divorce application. Please note that you do not necessarily have to live in separate places to make this claim. The lead up to separation and divorce cases can leave people without many viable financial options, so it is actually common for former couples to retain the same address before filing for divorce even though they’re not actually together anymore. Before a divorce can be granted, you may need to be able to prove to the Federal Circuit Court that you have a financial agreement in place. This is one of the many factors that your cost-effective family law divorce lawyer can help you with. For financial reasons, some people choose to work with separation lawyers in Sydney instead of submitting an application for divorce. In legal terms, a couple that goes through a separation is still married but is no longer together. If you change your mind, this process must last a year or longer before you will be eligible to begin filing for divorce. If you choose not to complete the final step in the legal process, you can work with our Sydney separation lawyers to ensure that you protect yourself as well as possible. For example, you will be required to inform applicable agencies about your separation, including the Child Support Agency and Medicare. One prime reason that it’s important to work with a separation lawyer when a divorce isn’t planned is to protect the distribution of your assets. Right now, your spouse may be the main beneficiary of everything you own. If you don’t want this to happen, be sure to talk to one of our divorce lawyers about your legal options. Spousal maintenance may be granted to one member of a divorced couple. If the court orders one person to pay the other spousal maintenance, this becomes a binding financial agreement that must be met. Spousal maintenance is usually provided as part of the divorce order when one party will be unable to adequately take care of themselves without financial assistance. Your marriage certificate will provide verification for the court regarding how long you were married. What Factors Impact Spousal Maintenance? If you are granted spousal maintenance, please note that it can be taken away if you get remarried. Also, be aware that you can file for spousal maintenance up to 12 months after your divorce order is finalised. Child support and child custody is often a big part of Family Court divorce proceedings. The Australian government provides many options for dealing with child support cases. Our law firm can help you assess the possibilities and make a decision before your divorce hearing. If you and your ex-spouse can come to mutually agreeable terms, you don’t have to get the Australian Department of Human Services involved. Instead, you’ll simply write up a financial agreement for child support and take care of everything privately. If you’re unwilling to self-manage child support, you can apply for an assessment. The Australian Department of Human Services will then tell you and your ex how child support payments must be handled. This agreement between both parties will stay active until both parties ask for it to end. Alternatively, one party can request the agreement to end after more than three years or if the notional assessment variance exceeds 15 percent. In a binding agreement, both parties agree to a specific amount. This is similar to self-management, but it involves paperwork being filed with the Australian Department of Human Services. In some instances, Family Court or the Federal Circuit Court may order child management. For example, a child 18 or older who is handicapped or currently getting an advanced education may be eligible for continued child support payments. After you come to an agreement regarding child support, child custody, and financial settlement, you’ll need to apply for consent orders. Once the court agrees to your written agreements, they’ll approve each applicable consent order. Consent orders are commonly used for parenting arrangements, so they are sometimes referred to as parenting orders. Our Sydney family lawyer will help you properly fill out and file the necessary Consent Orders. Keep in mind that legal representation is especially important during family law matters like; divorce, property/financial and children’s matters. Family law matters are an undoubtedly emotional time for you and your loved ones. By having the support of our legal team, we will be able to relieve the stress’ involved and ensure that the experience isn’t be as daunting. Often, after client’s seek our assistance, they already feel a sense of relief. Most people experience a family law matter for the first time and do not know what to expect, or how to handle the situation. This can prove to be detrimental to their matter as they are not acting or thinking like they normally would, which can lead to making bad decisions or exposing their case in other ways. Many unrepresented people don’t know what they are entitled to and are likely to settle for less than what they should because they feel defeated, unsure, or powerless. Further, when children are involved, they are equally as affected as adults, so their best interest should also be considered when undergoing a family law matter. When being guided by an experience lawyer, you are more likely to understand the law and make better decisions, without the influences of stress and emotions. A prenuptial agreement can help solve many litigation issues and speed up your dispute resolution. Therefore, if you’re currently engaged to be married, you may want to work with a marriage lawyer to help you put a prenup together. Unfortunately, a prenuptial agreement is never a guarantee. During the divorce hearing, it’s possible that part of the prenup, or even the entire agreement, will be set aside by the Family Court. If you’re not sure whether or not an existing prenuptial agreement is likely to be adhered to during divorce proceedings, contact our team of Sydney divorce lawyers for legal advice. We cannot make any guarantees about what the court will do, but we can use our extensive legal experience to help put you on the right track. Are you having a relatively amicable divorce and want to avoid going through the typical legal process? Collaborative law provides another option, and our divorce attorneys can assist you through this form of alternative dispute resolution. Before you can move forward with a collaborative law divorce case, a member of our team will conduct an interview to help make sure that this is the right path for you. Please note that you will be required to be present at all meetings during a collaborative law case, which may be hard for people who are dealing with a difficult divorce. In Australia, we have no-fault divorces. In other words, even if your spouse cheats on you, you’re not going to be able to turn the case into a criminal issue. However, if your spouse is currently involved in a separate criminal law case, that information is relevant when dealing with child custody. Be sure to let our family lawyer know if there’s any current or previous criminal case we should be aware of. Divorce isn’t pretty, but sometimes, it’s necessary. If you’ve been separated from your spouse for 12 months and cannot reconcile the relationship, it’s time to contact our qualified team of family solicitors. Your Sydney family lawyer can assist you throughout the entire separation and divorce process. Please bring your marriage certificate and any other applicable paperwork with you to our initial meeting. We cannot heal the rift between you and your ex, but we can provide valuable legal advice that will make the divorce go as smoothly as possible.